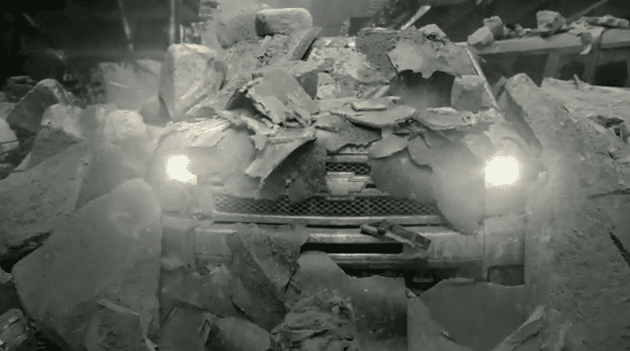 The Chevy Silverado Super Bowl 2012 Commercial is set in an apocalyptic world predicted by the Mayan calendar. As you sure know by now, the world ends on December 21 according to the Maya's. This is of course great stuff for a Super Bowl Ad. In this Chevy Truck commercial only Silverado truck drivers survive and make it to the meeting point of a group of friends. Only one of them did not make it because he drove a Ford truck. According to the Wall Street Journal, Ford is not happy about the Chevy Silverado Super Bowl 2012 Ad and sent a letter to GM asking to pull the ad. Motoramic reports that Ford spokesman Mike Levine said that Ford did not send a letter asking to pull the Chevy Ad. Instead Ford disagrees with several of GM's claims. GM's marking boss Jeo Ewanick had though nothing better to do than tell the WSJ about this letter. Now Ford comes across as not able to take a joke. The Chevy Silverado Super Bowl ads is one of the best ads actually. As far as I can remember, it is one of the best truck Super Bowl ads ever. The music combined with the destroyed planet and the fine joke ad the end is just great stuff. The Silverado Super Bowl 2012 Ad is also now gaining quickly views on Youtube. It has now already close to 1.6 million views. Watch Silverado ad now below. The Super Bowl 2012 is taking place in Indianapolis on Sunday, February 5th, 2012. Watch already the first fully released Super Bowl 2012 Commercials online.